We gathered around a pot of soup. 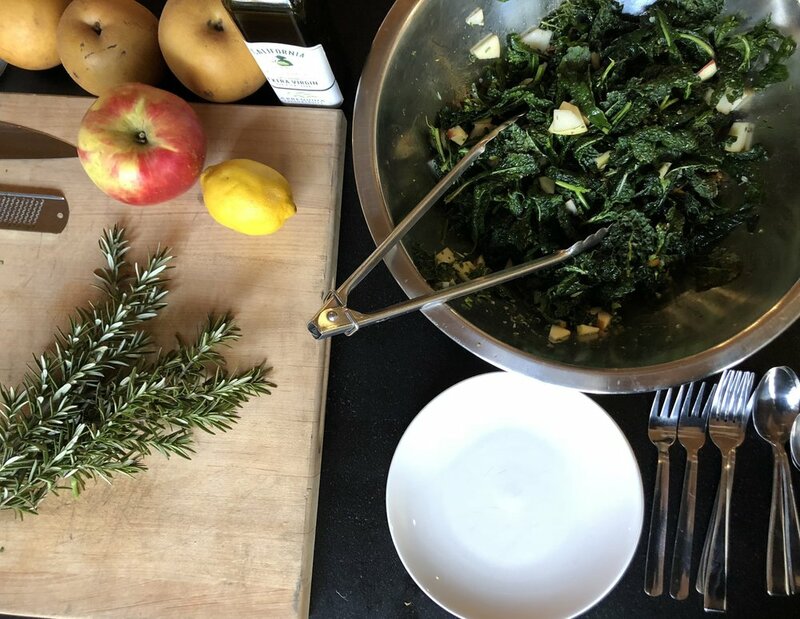 After a little time dreaming about our favorite holiday guilty pleasures, it was time to massage the kale for a salad, stir the stew, and sit down together. Over a vegetarian meal the conversation somehow came to focus on animals and slaughter. How we arrived there is unclear, but immediately it felt necessary and natural to discuss our attitudes towards meat. As all meals eventually do, we concluded, with empty plates and full bellies. Clean up is as important as the prep, and we did it together.